Campolindo High School was named a California Distinguished School, and scored over 900 on the CA API. 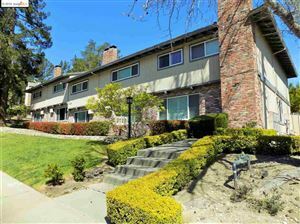 Not surprisingly, families migrate here from San Francisco and other parts of the Bay Area because of the excellent educational program, safe neighborhoods, warm weather and the allure of living in a bucolic setting just a short commute from more bustling areas of the East Bay. Moraga has fought hard to preserve its open space. Cows still graze and horses wander the hills outside town. This may be what sets Moraga apart from its East Bay neighbors and what its residents love most about their community. Moraga is also home to prestigious Saint Mary's College, which features a creative writing series, theater and dance performances and exhibitions at The Hearst Art Gallery.